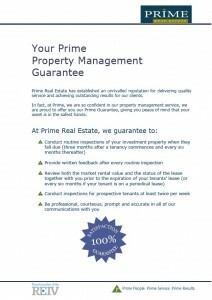 Prime Real Estate has established an unrivalled reputation for delivering quality service and achieving outstanding results for our clients. In fact, at Prime, we are so confident in our property management service, we are proud to offer you our Prime Guarantee, giving you peace of mind that your asset is in the safest hands. Mother’s Day Classic 2013 – Less Than Three Days to Go! Less than three days to go until the Mother’s Day Classic! For more information about the event in Geelong this Sunday visit mothersdayclassic.com.au. For more than 15 years, the Mother’s Day Classic fun run and walk has provided communities with a great way to celebrate Mother’s Day and raise funds for breast cancer research. See you this Sunday 12 May 2013! Help make it a classic Mother’s Day! Mother’s Day Classic Fun Run and Walk – Register now! Less than five days to go until the Mother’s Day Classic! For your last chance to participate and support breast cancer research, register online before 5pm Wednesday at mothersdayclassic.com.au. See you on 12 May 2013! Help make it a classic Mother’s Day!